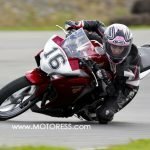 New Zealand motorcycle racer Avalon Biddle is the inaugural 2015 FIM European Women’s Road Racing Cup champion, placing fist against the classes three other contenders. 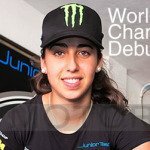 The 23-year-old clinched the title at the second to last round of the European Junior Cup (EJC) at Jerez, Spain. The series is a support class for the World Superbike series and the riders face each other off on identical Honda CBR650F bikes. Congrats also to Anastassia Kovalenko placing 2nd in the series and Laura Rodgriguez, third. Biddle ruled the European Women’s Road Racing Cup, where the other three contenders battled to for the number one spot. 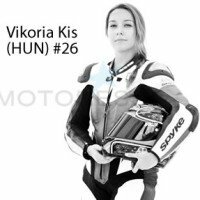 Viktoria Kis competed in just five of the eight race series which caused her to drop behind in the points. The three women race within the main European Junior Cup field as did prior European Women’s series and still do. The numbers remain still too small for the women to take their race solo during these racing events. And Biddle has been doing a phenomenal job in the series at a whole, with some finishes just outside the top 10 in past races. Due to the close nature of the racing, she sits 23rd in the overall championship with one round to go. 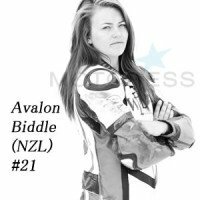 Biddle has led the inaugural FIM Women’s European Cup for all eight races where all contenders race on identical Honda CBR650F machines. 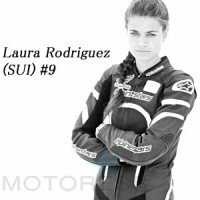 The New Zealander has impressed many with her consistency this season and she currently lies 23rd in the overall EJC point’s standings. Avalon comments, “It’s quite a relief to get it done really – it’s awesome and I’m really happy, not just for myself but for everyone who has supported me to get here. My sponsors, my mum, my boyfriend Jake have helped me out a lot. It’s great for females as young as 14 to have an opportunity to come and race in a European championship at a world championship event. It’s just what the sport needed to get more girls interested and the beauty of this championship is that we are all on identical machinery. You get to know where you stand overall, while getting recognized for being a female in a male-dominated sport. I’m so thankful to everyone who put this championship together”. Congrats Avalon and to the young aspiring motorsport women of the 2015 FIM European Women’s Cup.